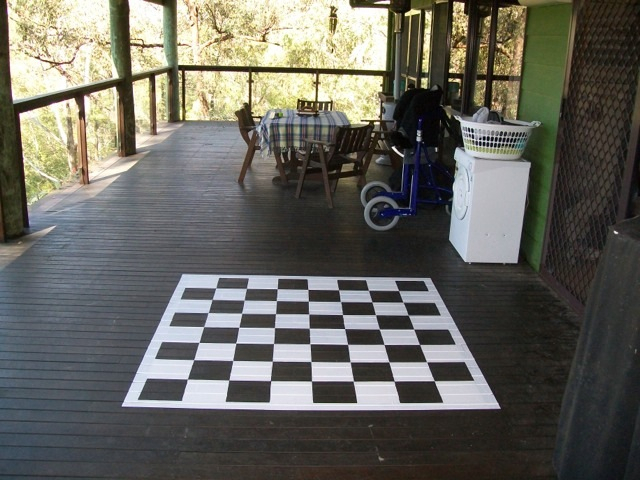 Now that I think about it, I possibly could have painted the board onto a sheet of marine ply, screwed down, so as to remove it when the day comes to, you know, not have a checkerboard on the balcony. 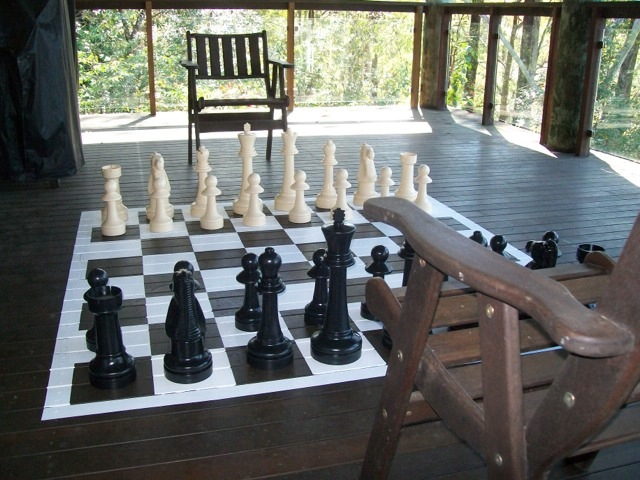 Sigh.The game stretches the mind and the pieces stretch the muscles, as you have to get up each time you make a move! so… where is the giant Go board going to be? I love this idea… have you used it much? One day I’ll challenge you to a game 🙂 don’t worry, I’m not that good! Love to, Suzanne because I’m not very good either. Thanks for dropping by my little blog. Come again.